CONTACTER LE PROPRIETAIRE - FAIRE ENQUETE SUR MAINTENANT ID: 29580 - CLIQUEZ ICI ! 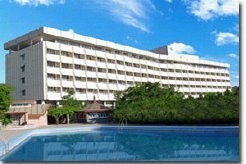 Description : LOCATION: Nestled at the foot of the majestic Hindu-Kush Mountains, with abreathtaking view of the city, the 200 room air-conditioned Hotel Inter Continental Kabul offers you modern comfort and gracious service. Each room is dedicated to comfort, these rooms feature Colour TV, Satellite Channels, ensuite bathrooms. Very spacious and tastefully designed, our suits command a splendid view from spacious private terrace. Suit features a bed room with sitting area and a spacious lounge with kitchenette and meeting space. Each room is equipped with indoor dual bathroom. The CAFE serves innovative hot + cold drinks with your favorite snacks with service there is efficient yet subtle. The Ballroom – The Kandhar Ballroom is large (31m x 15m), spacious, attractively decorated for business conferences and social gatherings with its own separate entrance. It can seat up to 400 banquet style or 600 theater style. A partition can separate the ballroom in two smaller rooms. Meeting Rooms–Panshir and Balkh rooms are the two smaller meeting rooms (7.8m x7.8m) each can cater for your smaller meetings and conferences. The Hotel’s experienced banqueting team is available to assist in the planning and smoothing organization of your event. » The Bukhara Restaurant that opened in March 2003 and serves Indian cuisine. » Bamyian Room there’s a delicious buffet brunch served up on Fridays, Saturdays and Sundays from 11.00-15.00.